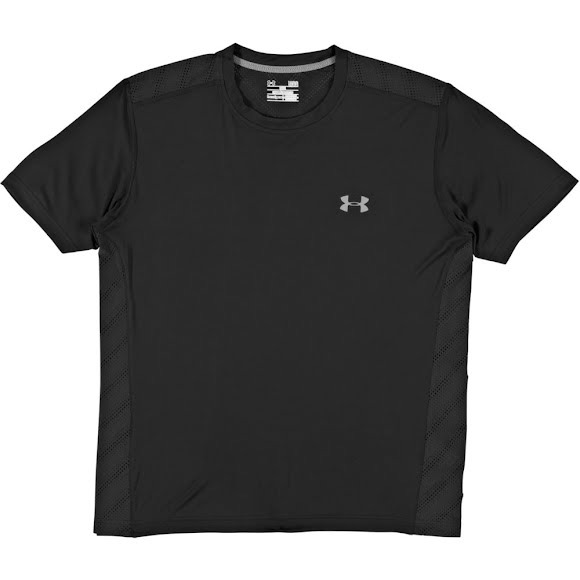 Hard driving male athletes will cherish the comfort and performance enhancing qualities of Under Armour's ArmourVent Short Sleeve, a moisture wicking and temperature managing machine! Hard driving male athletes will cherish the comfort and performance enhancing qualities of Under Armour &apos;s ArmourVent Short Sleeve, a moisture wicking and temperature managing machine! Iso-Chill construction helps dissipate heat from the body creating a cooling effect. ArmourVent mesh delivers true breathability in a light, stretchy, durable, fast-drying fabric. Anti-microbial technology keeps your gear smelling fresher, longer. ArmourVent technology uses a specialized mesh to deliver unbelievable breathability and a light, stretchy, fast-drying fit.